Nsight Compute CUDA Profiler baseline comparison and launch statistics with rule noting performance suggestions for memory vs. compute. 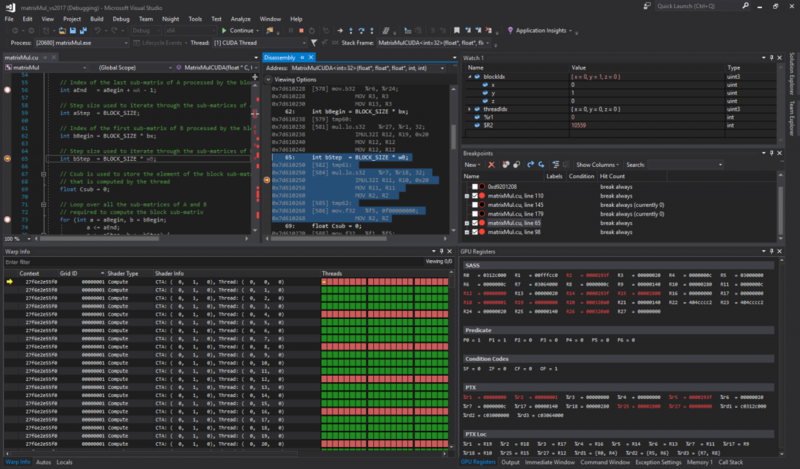 For a complete overview of all Nsight™ Visual Studio Edition features and access to resources, please visit the main Nsight™ Visual Studio Edition page. 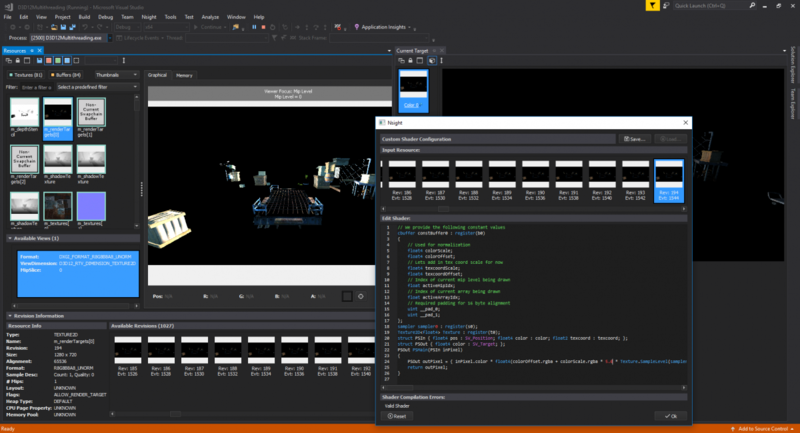 NVIDIA® Nsight™ Visual Studio Edition 6.0 is available for download under the NVIDIA Registered Developer Program.